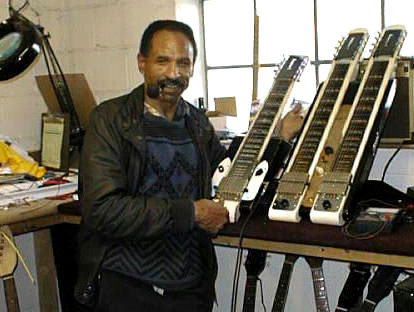 One time "Mr. X" -- Dave Lindley -- gave Fredie an 8-string Stella after something unfortunate happened to Freddie's. Freddie came in for parts; I just said, "Help yourself." That was the beginning of it all. For thirty years Subway has been a main stop for hundreds of touring bands and world-class acts -- a station for the 60's S.F. 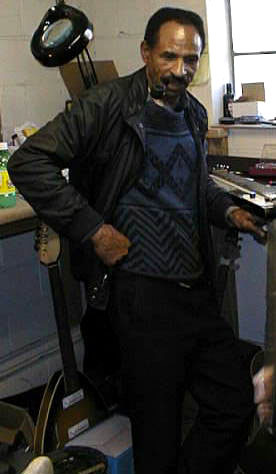 bands and a Mecca for many Afro-Beat, reggae, blues and jazz artists, folk and punk entertainers. We're a prime source for instruments and repairs. The following is a partial list of some of our friends, clients, and players of our custom instruments.